For the sushi connoisseur’s out there, have you ever wondered what the most expensive sushi roll is? Sushi is already pretty expensive. 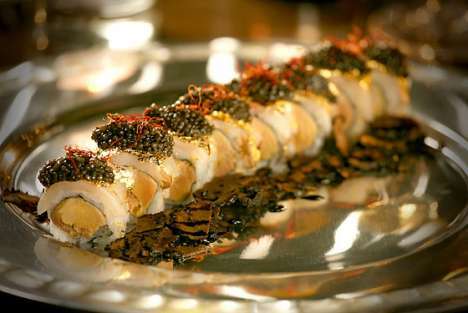 The Koi restaurant in New York City has come up with a super luxury roll with a $1,000 price tag on it. What’s in this lush roll? The outside of the roll is wrapped in langoustine lobster sashimi, then itâ€™s topped with a drizzle of saffron and vanilla bean butter, rolled in caviar and then itâ€™s all topped with a sprinkle of balsamicâ€¦ aged 100 years. Of course, serving the standard ginger and wasabi sides wouldnâ€™t do for succulent sushi like this, so they serve it with white Alba truffles which are shaved right in front of you.